Basophil. 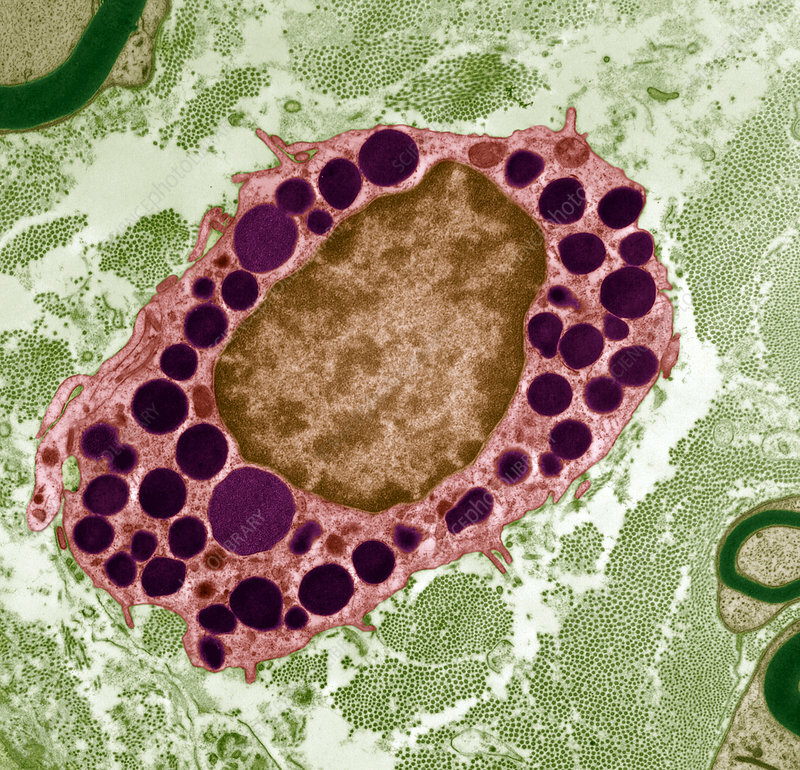 Coloured transmission electron micrograph (TEM) of a section through a basophil white blood cell. The nucleus, which stores the cell's genetic information, is brown. Basophils are cells of the body's immune system, involved in allergic and inflammatory reactions. They secrete the chemicals heparin, histamine and serotonin, which are stored in granules (purple) in the cell's cytoplasm. Basophils are the smallest and least common of the white blood cells. Magnification: x5000 when printed at 10 centimetres wide.